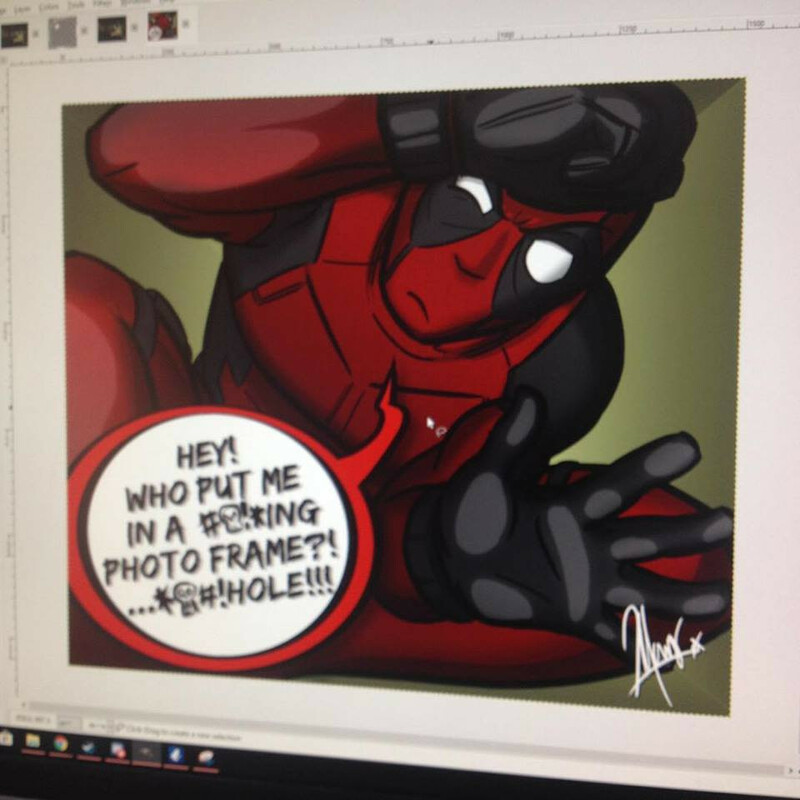 So a friend saw some of my other pieces, and decided he wanted a pic of Deadpool. I like Deadpool, despite his oversaturation, and some tales where he’s put in the hands of inept comedy writers who boil it down to memes and random catchphrases. Anyway, he said he would give me some ideas of what he wanted later… but… ADD… I got an idea, drew it, coloured it, showed him it, he loved it, he wanted it – job done! Just in time for time for Deadpool 2 too.